First there were the rumors. Then the confirmation. Now, we get the official schedule for Carnival's triumphant return to Norfolk. Carnival Cruise Lines will operate a series of two- to seven-day voyages, including a week-long cruise to Bermuda, from the Port of Norfolk in 2015. The 3,006-passenger Carnival Splendor is the newest and largest “Fun Ship” ever to operate from the historic Virginia port. 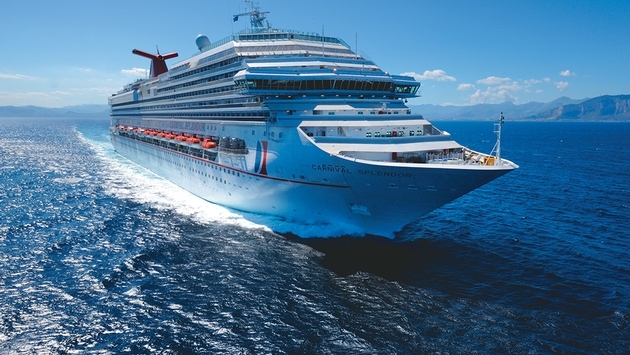 Carnival Splendor’s Norfolk program will kick off in May 2015 and will encompass a wide range of itinerary choices, including a two-day cruise departing May 16, 2015; a trio of five-day Bahamas cruises with stops in Nassau and Freeport, departing May 11, May 18, and October 12, 2015; a six-day Bahamas cruise headed to the private Bahamian island of Half Moon Cay, as well as Nassau and Freeport, departing October 17, 2015; and a seven-day Bermuda cruise departing Oct. 23, 2015 that features a three-day call in Bermuda. Splendor will also sail seasonally in 2015 from New York and Miami. From April to November, the ship will operate a variety four to eight- day itineraries from New York to The Bahamas, Caribbean, Canada and Florida. Cruises from New York to the Canadian Maritimes include four-day voyages visiting Saint John and five-day sailings calling at Saint John and Halifax. Seven-day fall foliage voyages hit Boston, Portland, Maine; Saint John and Halifax, while three different eight-day options are available -- a Bahamas/Florida itinerary calling at Port Canaveral, Fla., and Freeport and Nassau; and two eastern Caribbean routes, one featuring San Juan, St. Thomas and Grand Turk, and another visiting Grand Turk, Nassau and the private Bahamian island of Half Moon Cay. From November 2015 through April 2016 Carnival Splendor will sail from Miami on seven-day eastern and western Caribbean cruises. Eastern Caribbean cruises will call at St. Thomas, San Juan, Grand Turk, and Nassau, while the western Caribbean route will call at Grand Cayman, Cozumel, Belize, and Mahogany Bay in Isla Roatan. “At many Carnival Conversations travel agent events, we received feedback that consumers want choice. We are pleased to offer a variety of itineraries based on this feedback,” said Joni Rein, Carnival’s vice president of worldwide sales.